After a major tussle, Centrebet will now have plenty more money to put back into marketing now that it has won its case against the Norwegian gambler who lost $15 million. The gambler, Bjarte Baasland, lost the grand sum when he wagered on Bet365 and Centrebet several years. 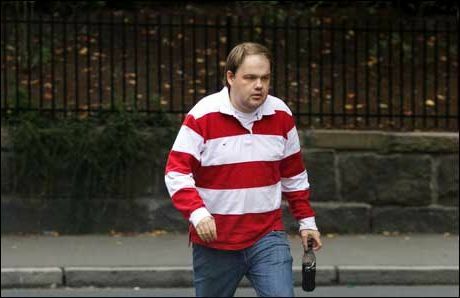 Baasland, the son of a Norwegian bishop, first made waves back in 2009 when he elected to sue both of the major online gambling companies for negligence. In addition to the lawsuit, Baasland accused the companies of providing aggressive bonuses to lure him into continuing gameplay, insisting that the fact that he had a gambling problem should have been more obvious to the companies. He went on to argue that neither company had the right to continue with his action when the homeland did not permit such actions. Eventually, Bet365 had been dropped from this docket, but Centrebet has remained on the case because it offers the choice of wagering on Norwegian sporting events using Norwegian currency. The Supreme Court of Norway has sought to claim jurisdiction with what was becoming a major public case. The only problem with this, however, was the fact that Baasland had actually conducted the majority of his gambling from hotels when traveling abroad, which naturally makes the jurisdictional waters a bit muddied. In addition, Baasland was revealed to have been borrowing much of the betting money from members of his own family, informing those he had borrowed from that he lost the money not to gambling, but to “misguided investments” when starting a firm in the Czech Republic. This may actually serve as a lesson for many mobile users out there. While it may be the user’s loss, it can also be the loss of many others since the money was borrowed on the pretense of “investing.” Problem gambling is still a major problem, but many still wonder how nobody noticed that there was a problem occurring. This is a lesson that must be taken seriously in this new world where Android and iPhone casinos are so abundant. This industry is growing very rapidly as more companies launch various promotions to try and draw in more players, and they’re certainly working. However, it is against the terms and conditions to disguise where the funds come from, so if a user wins with illegitimate funds, they will not receive winnings. With that in mind, do not follow Baasland’s lead; take care and have fun. Will “One Direction” singing the Jail House Rock soon? One Direction recently faced a major lecture by their management after gambling in a casino upon turning 18 and subsequently losing a significant amount of money. However, it seems like 19 year old Harry Styles is one member who did not manage to learn his lesson; the band member was recently spotted in the Perth’s Crown Casino on the first night the band arrived in the town. Some pictures were posted to Twitter that reveal the popular boy band member seated at the exclusive Pearl Room at the Perth’s Crown Casino playing roulette, handing over chips and wearing jeans and a black T-shirt. Currently, it is estimated that the star is worth about $24 million, but there is no word on whether he made a profit or lost any money while he was at the gaming house. It was very clear, however, that he had lost a fortune when he first decided to celebrate turning 18 by going to the casino for a night of gambling. According to Niall Horan, a fellow bandmate of One Direction, back in February when speaking with a british magazine, a night of gambling seemed like a good idea back then, similar to “most of the stupid things we do.” Says Niall, the thought process was that they are now 18 and that the night was the first time they could spend their money since they had been on the road for quite a few weeks. That night, Niall won £100, which he felt was “reasonable” and therefore took his winnings for the night. He did not have a comment as far as the other hand members outside of the fact that it “got a bit ugly” and some members lost “a lot of money.” When the management discovered this fact, all of the members received a serious dressing down about the way they spend their money. In other news, the local police signaled that it was going to investigate some allegations that the band had run through three red lights on Wednesday night when headed back to the hotel. According to Nick Anticich, the Assistant Commissioner, the “unacceptable behaviour” that the band showed breached the law, and the police are set to deal with all lawbreakers in the same manner. That the group is a popular one with rock stars does not provide a license to break the laws or get away with doing so. If they didn’t feel the strength of the law, “One Direction” hopefully will play two Perth shows while in town. Match-fixing is a problem with sports all over the world, but it is something no gambler wants to ever experience. Your wager can be done with many factors in mind. Some people spend hours determining what they believe the odds should be and then bet according. Other will bet on a hunch or use other means to arrive at their choice. Regardless of how a gambler decides on the winning team, it is always assumed that there is no match-fixing. Wherever people gamble on sports there is going to be match-fixing. 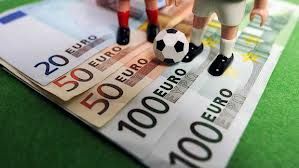 It should be quickly pointed out that match-fixing, when it is discovered, is usually found in sports where the players are not paid a lot of money. Studies have been done that is revealing a trend in larger numbers of match-fixing with no traditional motive. Players are making good salaries and have no gambling problem but are attempting to change the outcome of a game just to win a wager. The Gambling Commission in the United Kingdom estimates that less than one percent of citizens in the U.K. have gambling problems, but they further claim that gambling issues are more prevalent among athletes. John Coates, a researcher in Great Britain, has found a link between the risk-taking personalities of successful athletes with high levels of testosterone. By their very nature they are prone to take a high risk such as match-fixing. Other research has shown that athletes have high rates of Attention Deficit Hyperactivity Disorder. This condition is strongly associated with impulsive gamblers. How will this affect the future of sports gambling? With more money being wagered on sports matches than ever before, the number of fixed matches will likely rise. Organized crime is always looking for athletes that are willing to influence the outcome of a game for money, and this part of match-fixing will not change. However the growth of sports betting seems to be what is driving the supply side of the equation. 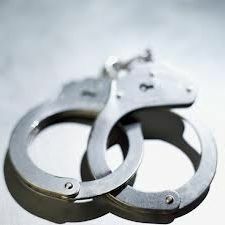 Recently a syndicate was discovered in Singapore leading to the arrest of 14 people. They are alleged to have fixed over 380 football matches in Europe. This type of activity combined with a possible genetic pre-disposition to gambling among athletes and today’s match-fixing may become a much bigger problem in the future than it has ever been in the past. Casino UK (http://www.casinouk.com), a leading Internet casino venue, announces the launch of a free guide for online gamers: “Roulette: From Start to Strategy.” The free eBook is available for download on the Casino UK website. Named after a French word for “little wheel,” Roulette is one of the most popular casino games. Players place their bets on numbers and colors, and the winning number or color depends on the spin of a ball and a wheel. Published in a glossy eBook format, “Roulette: From Start to Strategy” covers every area of the popular casino game: the wheel, the table, the croupier, inside bets, outside bets, the Gambler’s fallacy, the House edge and more. 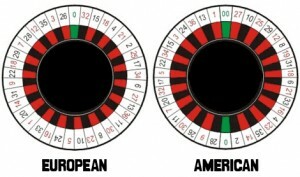 Gamers will learn everything they need to know about Roulette, from its history and rules to the different game variants. The book is short and concise, with a scattering of anecdotes to keep it light and entertaining. To download a free copy of “Roulette: From Start to Strategy,” gamers just click on the image above and submit a social share. The “Share to Download” button sends a message and link to Facebook, Twitter or LinkedIn. Casino UK is one of the United Kingdom’s favourite online casinos. It is part of the nine-member Vegas Partner Lounge, an international group that is licensed by the Lotteries and Gaming Authority of Malta. To learn more about Casino UK and download the free eBook, visit www.casinouk.com.